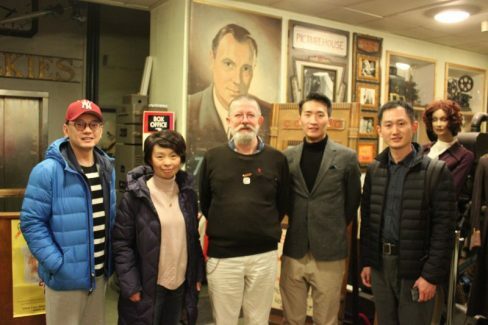 On Monday 2 December, we had a visit by a delegation from the Shanghai Film Museum. Here is a picture of the group with Martin. I’m so glad that we’ve met in London. The day we went to the film museum was rather accidental, but to me, it was more like an exciting and unforgettable experience. We’ve seen your hard work and persistence in making the museum better and better everyday, as well as making sure the legacy of the movie industry is protected, and it was quite inspiring, encouraging us to increase our efforts in building a better future for our industry. Thank you and your colleagues for your amazing hospitality! Hopefully, we will have opportunities to co-operate in the future to enhance the cultural communication between our countries.